Anger is the only thing they left me. Anger is my refuge, it's my shield. Anger is my birthright! This is a remake of the Israeli movie The 92 minutes of Mr. Baum. It has a perhaps unintentionally elegiac feel to it as it was one of Robin Williams' final film roles. It was released the year of his death via suicide. Watching it you can't help but wonder how much art was imitating life in this film. The film tries to be a black comedy. It doesn't quite make it or rather I should write that it wasn't as funny as it thought it was. Williams is convincing as the titular character, a Jewish real estate/estate planning lawyer named Henry Altman whose moods range from acerbic to choleric to furious. Henry is never in a good mood, not really. Even if he's quiet it's usually because he's seething about something and planning a nasty response. Henry has his reasons. "Man that is born of a woman hath but a short time to live, and is full of misery. he fleeth as it were a shadow, and ne'er continueth in one stay." Henry is an aggressive deeply unhappy man who is always on the verge of attacking someone verbally or physically. Henry has a doctor's appointment which he can't put off any longer. He's angry about that. He's angry about the traffic. He's angry about the accident that a foreign born taxi driver caused. He's angry when he finally reaches his appointment only to discover that his normal male doctor has transferred him to a younger female doctor Sharon Gill (Mila Kunis). Henry thinks that his regular doctor is just playing hooky. Henry assumes that Sharon is incompetent because of her youth, gender, retiring nature, and his general self-centered paranoia. Sharon discovers that Henry's usual doctor Fielding (Louis C.K. ), with whom she is having an affair, hasn't gotten around to informing Henry of a serious life threatening condition which he has. When Henry learns of this he hits the roof. Henry refuses Sharon's advice to calm down and go see a specialist ASAP. Henry demands to know how much time he has left, verbally abusing Sharon until she panics and tells him that he only has 90 minutes to live, just to get him out of her office. The despondent Sharon is constitutionally unsuited to conflict or stressful situations. 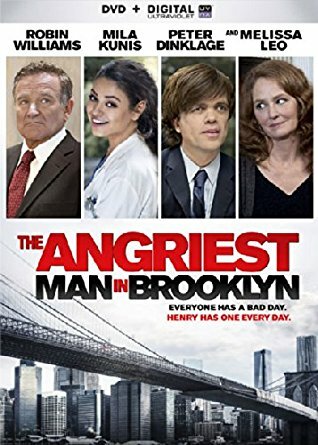 Frightened and believing that he won't be on the planet in a little less than two hours, Henry embarks on a frantic quest to make amends to his loved ones and associates, such as his supportive law firm partner and brother (Peter Dinklage), his crusty independent wife (Melissa Leo), old school friends (Richard Kind), and most especially his estranged son (Hamish Linklater). Feeling guilty about lying and worried about her job, Sharon searches for Henry. She wants to convince him to check into the hospital. Other actors of note include James Earl Jones, Jerry Adler, Isiah Whitlock, and Bob Dishy. This is a predictable movie. I was in the mood for something that was both melancholic and wry. This film won't have many surprises for the viewer. It lacks the energy or even intent to be a drop dead laugh out loud film. The Angriest Man in Brooklyn does have its humorous moments, nearly all of which are courtesy of Williams. 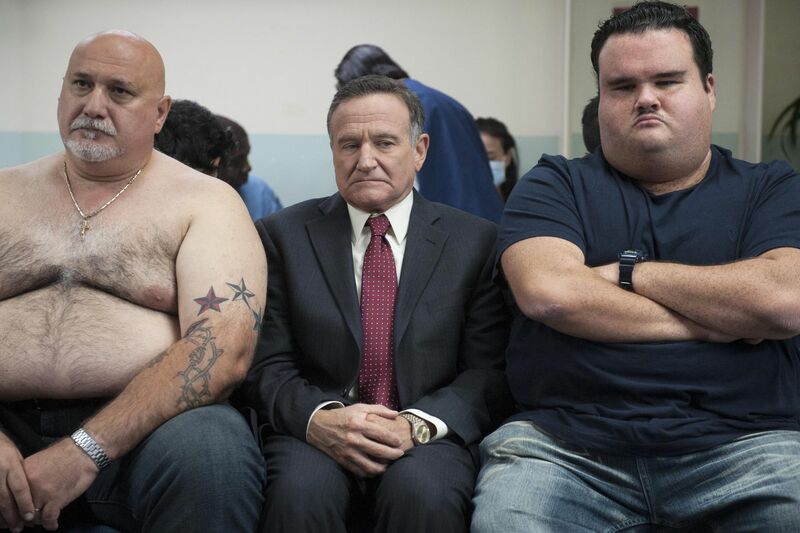 If you appreciate Williams' manic approach to comedy, here mixed with some sadness , you might like this movie. There is voice over from certain key characters speaking of themselves in the third person and explaining some of what was going on in their mind. The film doesn't overstay its welcome but the narrative could have been tightened up a bit. Overall decent slice of life film, not great. This is not a cynical movie.